PeachTree Place Assisted Living Community offers senior apartments in the West Haven & Ogden areas. We offer both studio and 1-bedroom apartment home options with full access to all of the amenities and services our community has to offer. We understand that when choosing the appropriate environment for an elderly loved one you want to select an inviting and warm atmosphere. When you choose PeachTree Place Assisted Living Community, you can rest assured that our senior apartments in West Haven will accommodate the mental, physical, and spiritual needs of our new resident. We are conveniently located near shopping centers and doctor offices. 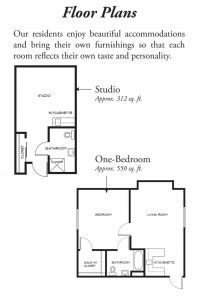 View our 1-bedroom and studio apartment floor plans or download our brochure to help confirm that we are the right fit. It is important to find a senior living facility that caters to the individual lifestyle of each resident. PeachTree Place Assisted Living Community offers the flexibility of deciding between our one bedroom and studio senior apartments. Giving our residents a full array of on-site activities, and amenities, keeps the members of our family active and helps to avoid a sedentary pattern of existence. For those who choose to attend religious services, we offer church services on-site. Enjoying time outside, playing games, visiting with family or friends, and socializing with other residents are just a few of the options available to seniors who join our community. A senior apartment should cater to the personal condition, care, and attention that your loved one requires. 24-hour monitoring is available for those in need. Our caring and patient staff members are ready to assist with daily tasks, medication supervision, or medical attention. Our facilities are equipped with resident-focused individuals whose goal is to help your loved one when they need it. No matter how much personal care our members require, PeachTree Place Assisted Living Community provides a personalized approach to the individual care and comfort of each resident. Our senior apartments, located in West Haven, UT, include an array of on-site amenities that are easily accessible to each member of the community. We provide laundry services, home cooked meals, 24-hour staff and monitoring, and an emergency call system. 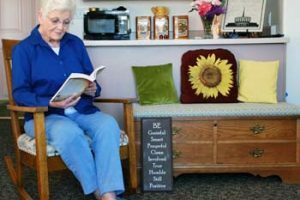 When you choose PeachTree Place Assisted Living Community in the Ogden area, you can be certain your family member will receive the care they need and the attention they require. There are many things to consider when selecting a residence for your loved one in. You want to know they are safe, comfortable, and will be cared for, in a clean, healthy environment. 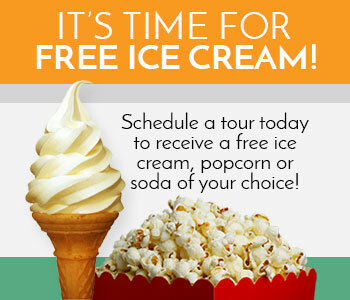 When you choose PeachTree Place Assisted Living Community, that is precisely what you receive. If you are interested in a senior apartment in the Ogden, West Haven, or surrounding area, please feel free to give PeachTree Place Assisted Living Community a call today.